• INA 212(a)(9)(B)(v) – waives the three-year and ten-year inadmissibility bars for unlawful presence. 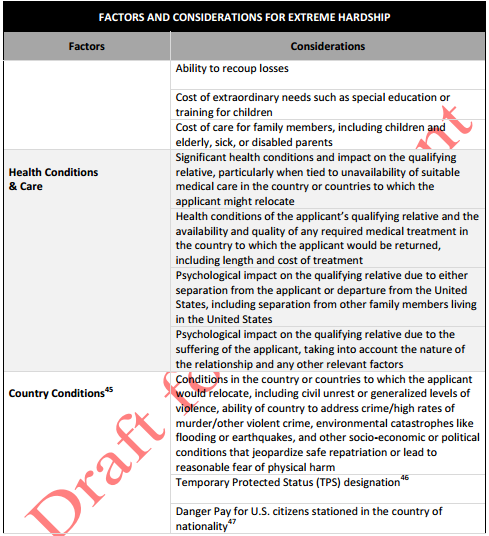 Eligible qualifying relatives include the applicant’s U.S. citizen or LPR spouse or parent. • INA 212(h)(1)(B) –waives inadmissibility for crimes involving moral turpitude, multiple criminal convictions, prostitution, commercialized vice, certain serious criminal offenses for which the foreign national received immunity from prosecution, controlled substance convictions for a single offense of simple possession (30 grams or less of marijuana). 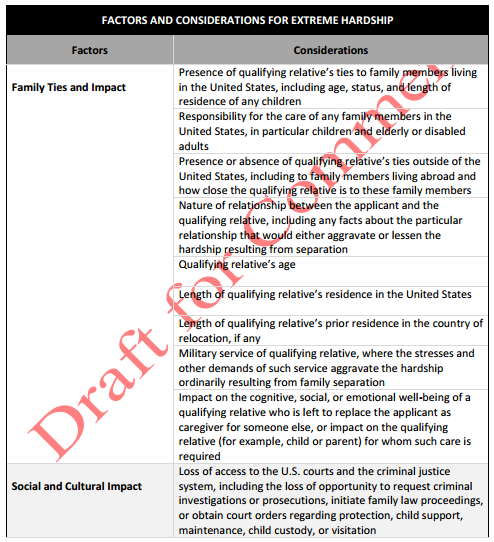 Eligible qualifying relatives include the applicant’s U.S. citizen or LPR spouse, parent, son, or daughter. 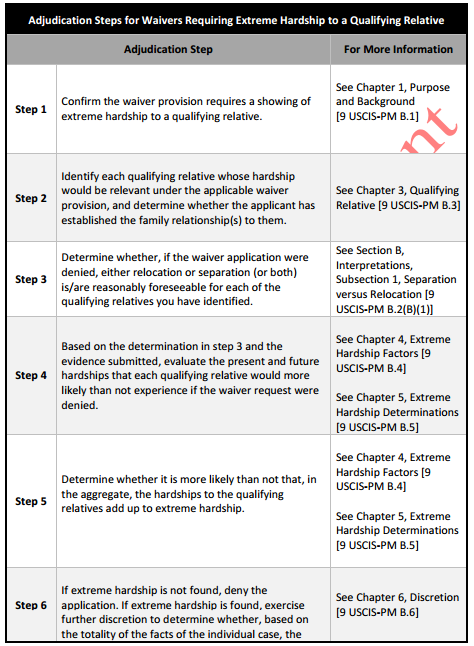 In the manual USCIS has outlined clear steps that an adjudicating officer must consider when determining the merits of a discretionary waiver of inadmissibility, factors, and considerations to be taken into account to establish whether the qualifying relative will suffer an extreme hardship in the absence of the alien. 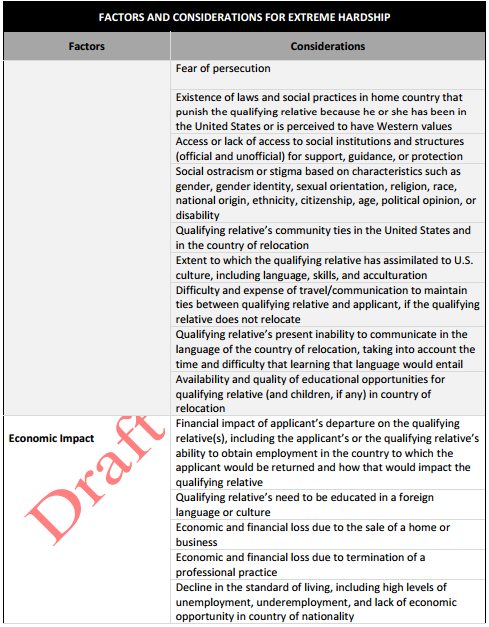 The factors are: family ties and impact, social and cultural impact, economic impact, health conditions and care, and country conditions. Still have questions? We invite you to watch our videos on Extreme Hardship Waivers on our Youtube channel by clicking here. For eligibility concerns please contact our office.